Cymbals are one of my favorite instruments to play in the orchestra. They can define a huge climax or color a soft, delicate passage. The color palette is extremely wide and the opportunities for experimentation are just as many. We sit in the back of the orchestra for so long, waiting for a chance to play, that it is nice to be creative when given the chance. 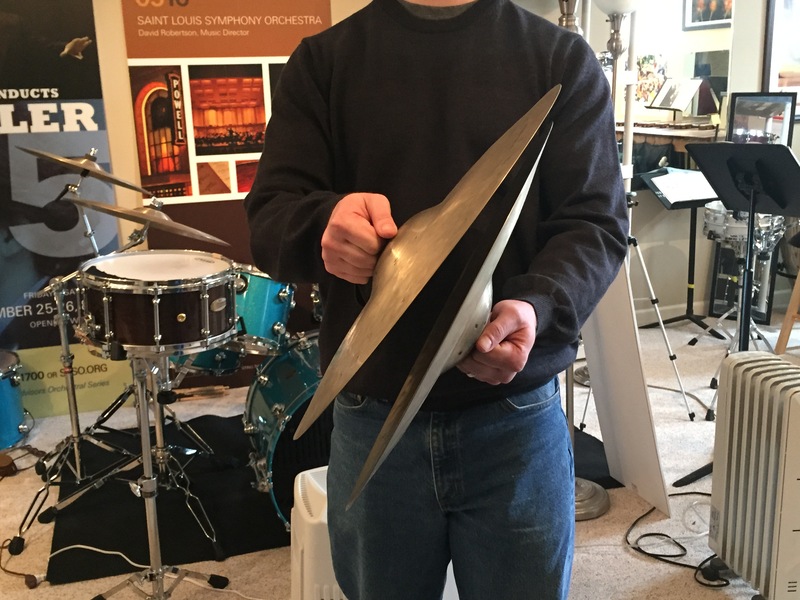 I also think that cymbals can be one of the most intimidating instruments to play; especially for younger students. Just like your soft snare drum roll, if you don’t spend dedicated time to practicing it, chances are it isn’t going to be very good. Scheduling regular practice time on cymbals in vital to having a good, consistent crash. I also practice the cymbals coming together in super slow motion to find the best angle in which they like to come together. I’m not worried about the sound so much right now as I am finding a comfortable flam between the two cymbals. Once we find a nice comfortable angle at which the cymbals can come together, the cymbals have to come apart. This is an often forgotten part of the crash and can lead to the dreaded air pocket. 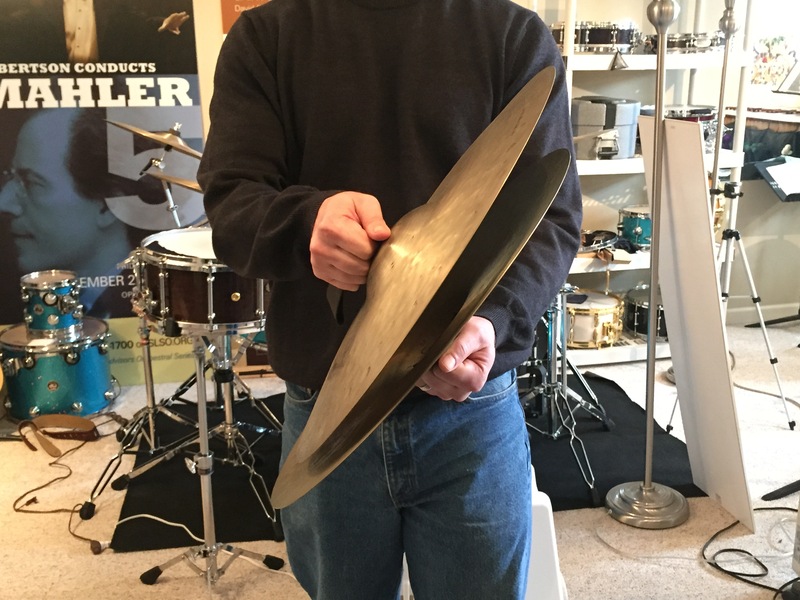 When choosing which end of the cymbal should hit first in my flam I prefer the bottom hitting first because the natural weight of the cymbals and gravity cause the cymbals to come back apart. 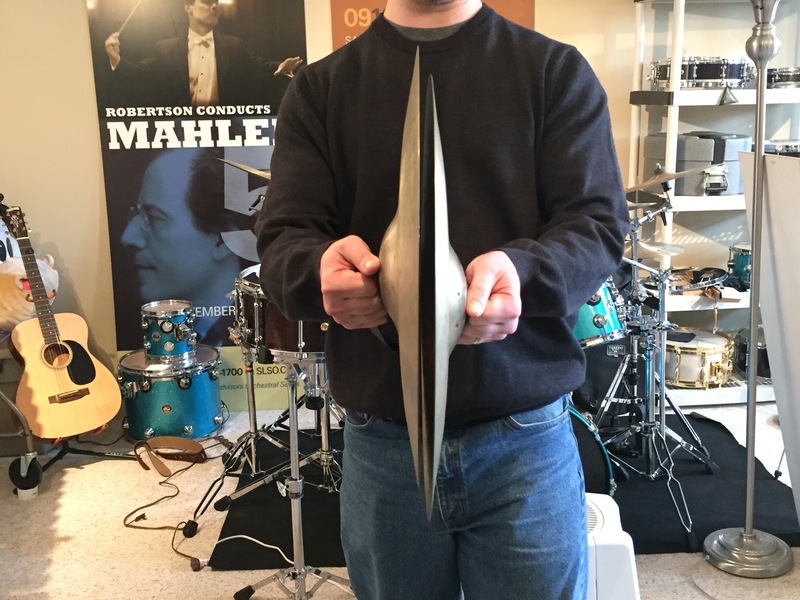 The video below shows how gravity can help the cymbals come apart. When the top hits first (my personally feeling is) the hands and arms have to do more work to get the cymbals apart. Now that we have a basic crash, we need to be able to repeat it. Consistency is a huge part of cymbal playing. You should be able to play 10 crashes in a row and they all sound the same. Not an easy task! So this is how I start my practice routine. I play a series of crashes at no particular tempo with the goal of them all sounding the same. My focus is on sound and my hands executing the same motion every time for a consistent crash. 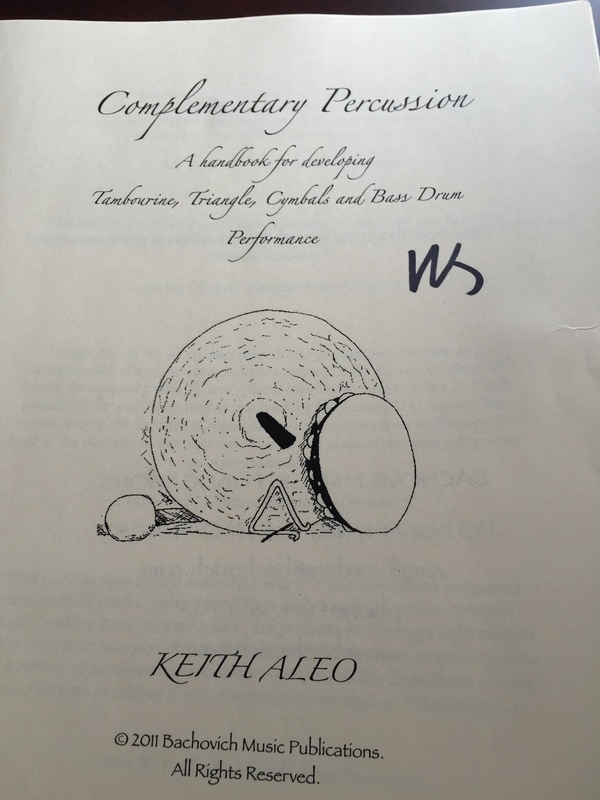 Keith Aleo‘s book Complementary Percussion, is a fantastic resource for exercises and etudes to work on all complementary instruments. Once I have consistent crashes I work through his exercises on page 33 & 34 to start controlling the cymbals with a specific tempo on the metronome. I do all of this at a mf or louder dynamic. Just like with snare drum, I spend specific time practicing soft. The soft crash is slightly different than a mf crash or louder because all of the movements are minimized. The crash still needs a flam but the angle is smaller, the softer you get. I also slowly shift where the cymbals are in my preparation so that the cymbals are more vertical the softer I get. I find that at the soft dynamic, my eyes need to be more involved in checking the angle of attack. At the louder dynamic I can do this by feel, but at the softer dynamic, I need my eyes to do it. The pictures below show the progression of how I prepare from mf to ppp. To get used to this concept I will play Keith’s exercise A but with a long crescendo and then a long diminuendo. So we can play a crash, but now we need to stop it… Muffling the cymbals is just as important as the crash itself. A lot of times the composer doesn’t give us a lot of information on how long the note should be. So we have to make that decision ourselves. We also have to determine if the end of the note is quick or if we want to slowly damp the cymbals so the end of the note is less apparent. All of these options should be practiced so they are comfortable when in a performance situation. From a purely technical standpoint, I muffle the cymbals with my stomach. This keeps these large metal objects away from my ribs so I won’t have to worry about injury. To round out the rest of my crash cymbal practice session, I will work on one of Keith’s etudes a day. Once I get to 10, I’ll go back to 1. There are some extended techniques that can work great in specific circumstances. Occasionally I will leave the cymbals together a little bit longer than necessary on a soft crash and let them sizzle. This happens right as they come apart. I will leave the top edges still touching and lets the cymbals vibrate against one another for a nice effect. I will also occasionally scrape one cymbals against the other for a long note. This can also be done on suspended cymbal but the effect of two cymbals is different and can be very nice in the right situation. Crash cymbals are only one part of the demands on the cymbal player. 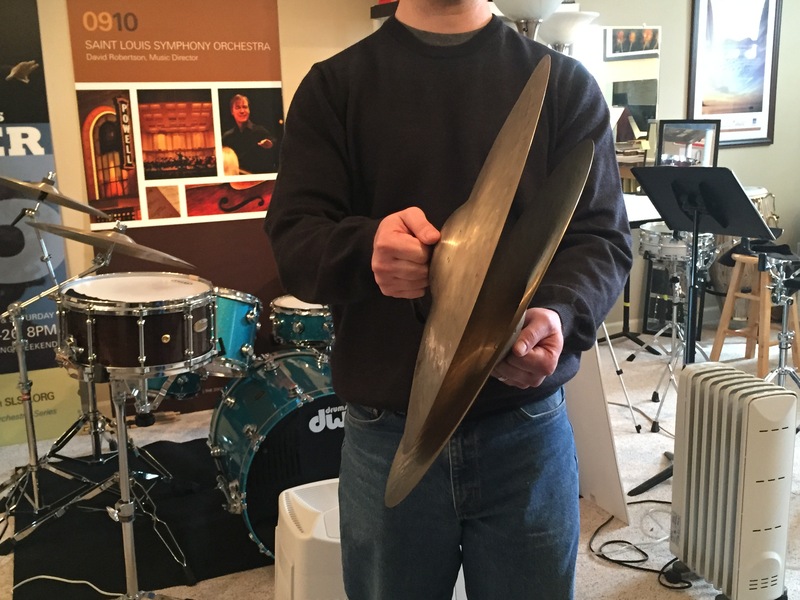 Suspended cymbal playing is a huge part of the symphonic repertoire. 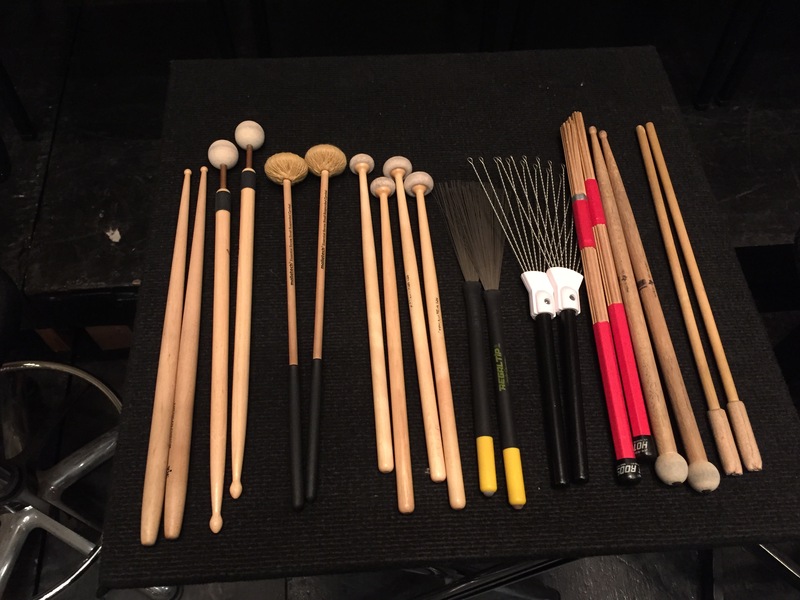 Granted it isn’t the most technically demanding aspect of percussion playing but it might be one of the most creative! Just like mallet, bass drum, or timpani playing; I have a lot of sticks that create different sounds on the cymbals. Think of these sticks like different articulation options for the cymbals. You can scrape the cymbals with a file to create a long sound. You can strike it with a stick for a quick sound. You can tap it with a triangle beater for a ping sound. You can softly strike it with a soft mallet for a warm sound. Experiment with different options so your spectrum of available colors if wider. The picture below is of all my suspended cymbal sticks. I also use a variety of triangle beaters for scrapes and such but they wouldn’t fit on the table! 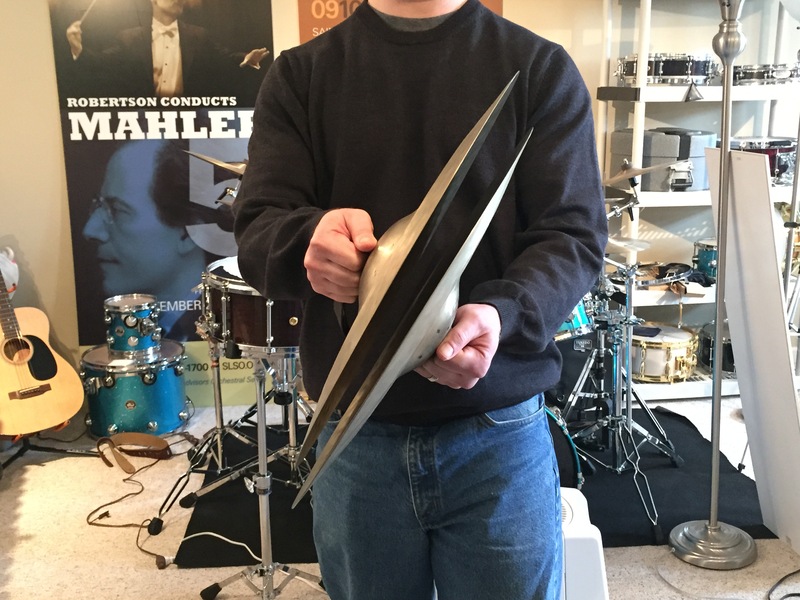 There are some great resources out there for continuing to work on your cymbals playing. Zildjian has a great online Education Guidebook that is perfect for beginning players and teachers. 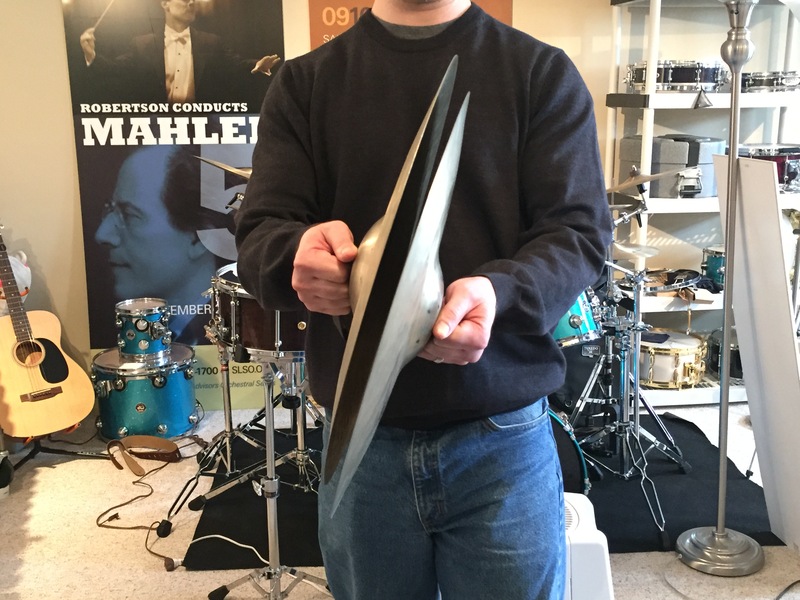 They also have some great resources for how to pick out your first pair of cymbals. The Art of Bass Drum and Cymbals Playing by Tony Cirone and Garwood Whaley is another great resource. Thanks for reading and stay tuned for the next post about more accessories featuring triangle and tambourine. As always leave comments below if you have something unique that you like to practice on cymbals.